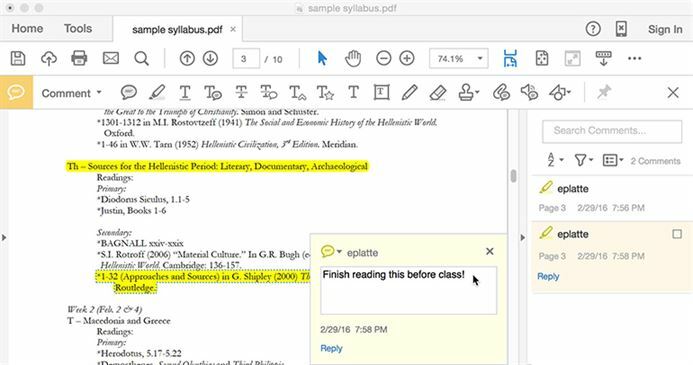 PDF annotation feature makes it easy for business users and students to highlight and edit important text or ideas within a PDF document. 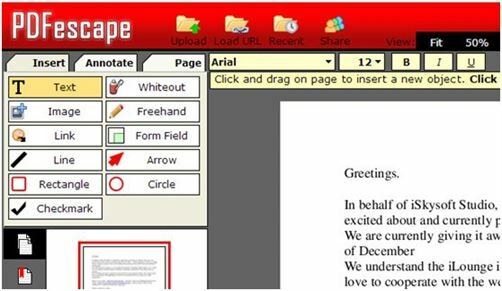 You are also able to write comments on a PDF page without effecting the layout. The increasing use of PDF has attracted many developers which, in turn, give users a wider array of choices when it comes to PDF annotator tools. This article will review 5 PDF annotation software programs including PDFelement ProPDFelement Pro, which enables you to easily annotate PDF files. A top of the line PDF editor, PDFelement Pro also works as an excellent PDF annotator for PDF documents. It has a similar style to Microsoft Word, which makes it even easier for those who are more familiar with Microsoft Office programs. Another amazing feature of the program is its ability to import, export and convert Office files to PDF files easily, making it truly universal. The editor is also lightweight yet feature-packed, focusing on performance that users can trust instead of adding extra complex features that users might not need. Annotate PDF files with sticky notes, text boxes, and freehand drawing tools. 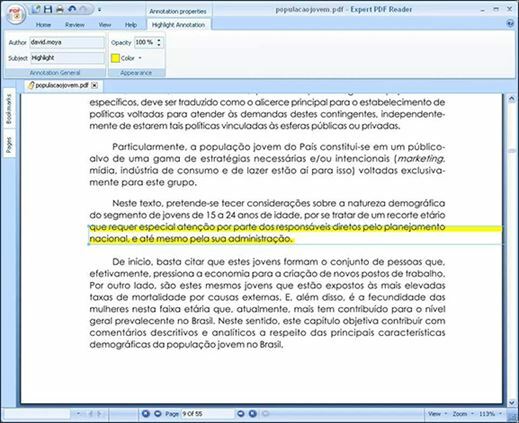 Mark up PDF documents by adding highlight, underline, or strikethrough. 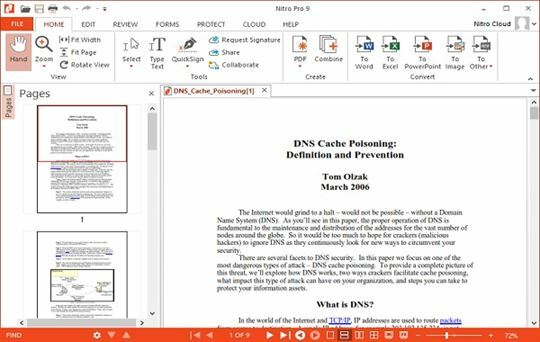 Edit PDF texts, links, images, pages as easily as Microsoft Word. Convert PDF to Word, Excel, PPT, EPUB, images, and vice versa. Easily fill out PDF forms and extract data from PDF forms in just one click. OCR scanned PDFs and combine, split, and compress PDF files. A simple yet powerful annotator for PDF documents, PDF annotator allows users to highlight, underline or make notes and drawings on a PDF page. One great feature of the software is the ability to restore the document to its original page in one click, effectively removing the annotations without damaging the file or its layout. On top of being an effective annotation tool, Note Anytime or MetaMoji Note integrates other features that make PDF editing possible on a whole new level. Its interactive browser also captures and marks up websites within the app and allows users to share files with anyone online. PDFNotes works as a good PDF annotator for iOS devices. The app lets users take notes, comment, print, manage and even add bookmarks on a PDF page. 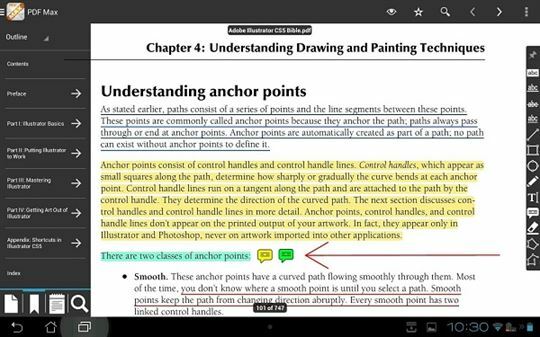 Annotating and commenting on PDF documents on a mobile device is easy with this tool. 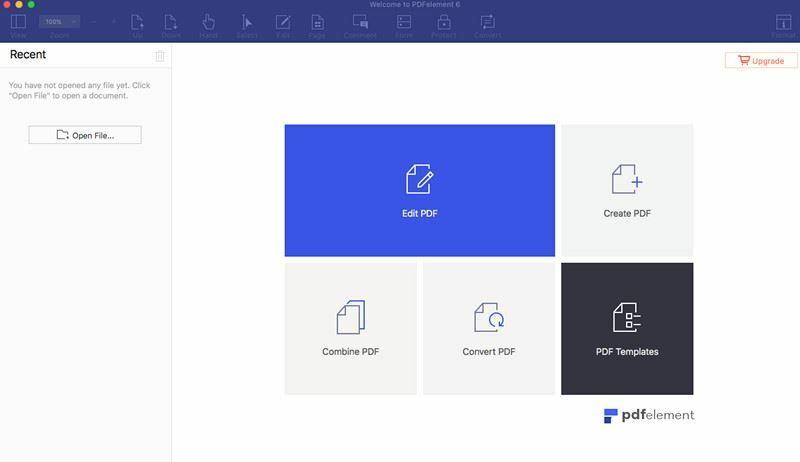 Designed for users on the go, PDF Max includes a cross-platform program that supports major mobile operating systems, putting a focus on mobile users. Sticky notes, text highlighting and strikethroughs are some of the features which are added to this program. This program does basic annotations with ease. There are a number of social media platforms added as well. The PDF bookmarking and comment addition is also very valuable with this program. 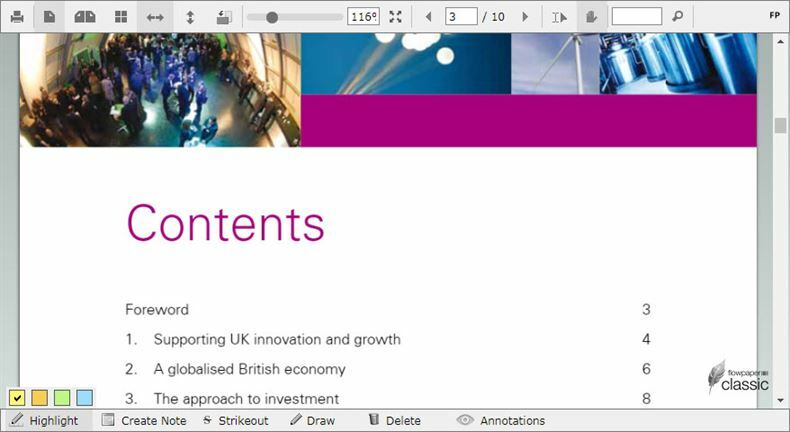 It also has a number of tools which can be used to easily create separate sets of PDF annotations. 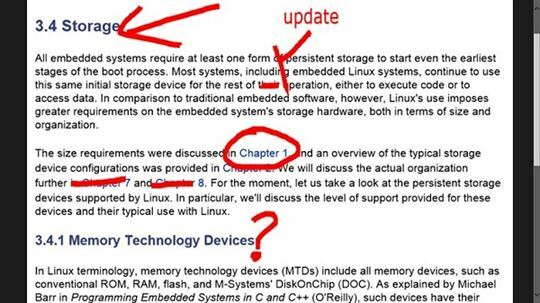 The best part is that the annotations can easily be reviewed before they are added. This program is best for users who are used to Microsoft Word. The interface is similar, therefore MS Office users will find it very easy to use. There are many annotation tools available in the program. It includes highlights, strikethroughs, notes, sticky notes and drawing tools. It ensures the best PDFview is provided and the best screen optimization is also available. Link tools, arrows and shape tools are also included. This program is regarded as one of the handiest PDF annotators found online. Though it is not rich in functionalities, this is still a very effective program. There is a limit of tools which are available, and it doesn’t include more advanced annotation tools. The bookmarks, already added annotations and social media sharing is possible however, and standard annotation can be performed, ensuring that the PDF appears clean and professional. PDF files can also be converted to text and vice versa using this program. There aren’t many programs that can match the level of adobe acrobat reader. This is a system based program which is completely free to download and install. 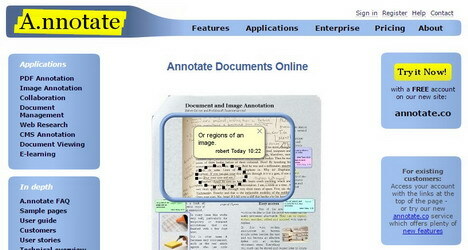 There is a wide range of PDF annotation tools which can be used easily. From adding notes to rotating the your file, this program has it all. Signatures can be added and modified PDFs can be easily stored to the system. It also allows the users to easily print the documents as well. This is another free PDF annotator that has all the functions you need. It includes the type write tool, note highlighter, strikethrough, double strikethrough, underline and pencil.. The interface is easy to use and therefore it is rated highly by users. Digital stamps, scales, and area highlighters are some of the other functions available as well. The annotations can easily be printed separately and social media sharing has been embedded. This annotator requires no account creation and can be used directly online. The file can simply be added by pressing the “Upload a PDF” button. Advanced annotations can be added easily. The PDF can even be manipulated in different ways. It includes signatures, stamps, notes and sticky notes. PDFs can be rotated, and the social media platforms which are integrated ensures that the file is directly shared without needing to save to a computer. 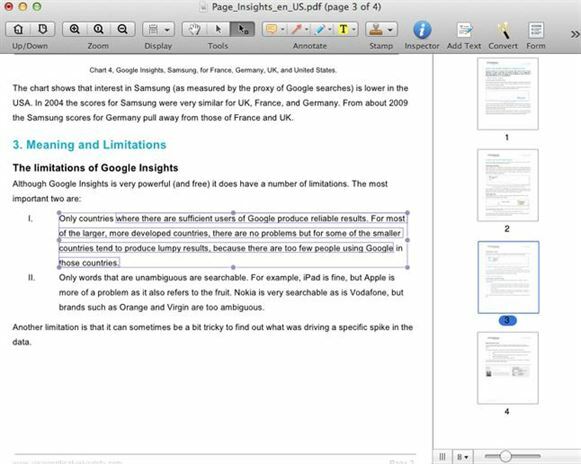 This online PDF annotator lets you collaborate within your PDF documents online. 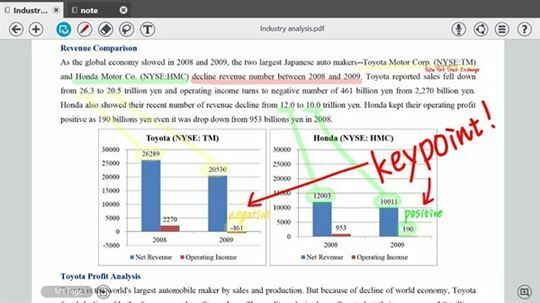 Add notes, highlight text, and draw figures in your PDF documents and share the annotations among your colleagues. This app requires signing up before you can use it. The overall usage of this app is simple and therefore requires no technical knowledge. The left panel includes all of the important features. It also allows the users fix errors which other online PDF readers do not include PDFEscape ensures all PDF documents can be opened and read with ease. It is regarded as one of the best alternatives to adobe acrobat reader on the market. This program increases collaboration capabilities between teachers and students. There are also tools embedded within the program to create PDF files. This is an easy online tool to use. The basic annotation features are available to ensure great results. This online PDF annotator ensures that PDF, DOCX, PPTX, ODT, ODP,TXT and RTF are uploaded with ease. The developers of this tool are constantly working on adding new format support options as well. The wide range of PDF annotation tools makes this one of the best tools to work with. 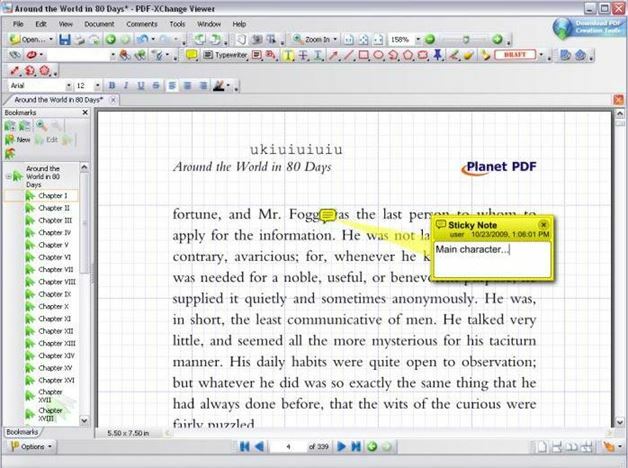 PDF documents can be easily annotated with this program. It also provides tools to ensure PDF files are organized efficiently. From sticky notes to comments and bookmarks, this program offers a wide range of tools. Unlimited annotations can be made using this program. The system of this website is centralized which means that many people can simultaneously add annotations to the same document at the same time. 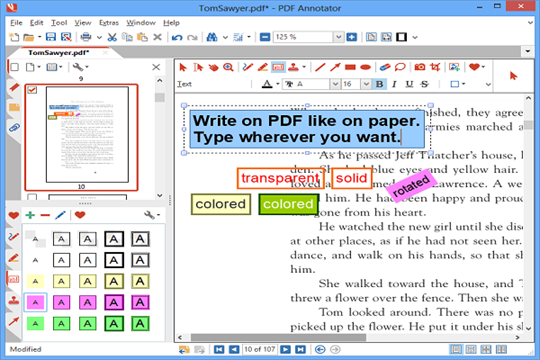 Thanks to PDF annotators, students and professionals can annotate PDF documents much more easily. Transform your work productivity with handy online tools like the ones mentioned above. With a number of programs to choose from, it is best to choose the one which is packed with important and useful features that best suit your needs. Collaborate seamlessly with other users with the tools we have outlined above.